Aloe Vera is a natural product rich is antioxidant and antibacterial properties due to which you can get healthy and glowing skin. Aloe Vera heals dry skin and thus you can get that dream look feeling happier all the time. You can also prepare a face mask using Aloe Vera that gives you the confidence to go ahead in life. Also, you can mix some yogurt that helps you to smoothen your skin giving it an even look. 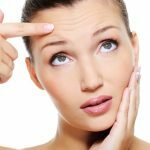 In this way, you can explore that healthy skin eliminating the bad effects. Aloe Vera cools down your skin cells and you can feel the soothing touch. 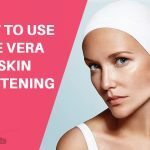 Let us read to know how to use aloe vera for skin lightening and whitening. Is Aloe Vera Good for Your Skin? In ancient times, Aloe Vera was termed as the “Plant of Immortality”. This magic wonder has two hormones, Auxin and Gibberellins which has anti-inflammatory properties and help in wound healing. It is also used to treat chronic skin problems. It has ingredients which helps to stop pain and itching of skin. It also prevents any kind of infection on exposed skin. Aloe Vera is good for skin as it allows your skin to heal naturally and quickly as well. When to Use: You can use this face mask while bathing. 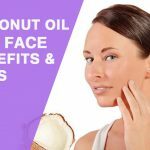 Apply the mixture gently on your face massaging in a circular motion. It works as a natural scrub washing off dead skin cells. Precaution: Your skin may tingle a bit due to lemon. If your skin irritates too much immediately wash it off with cold water. How Often you Can Use: You have to repeat this procedure for 3 times in a week. When to Use: You can easily use this skin lightening paste while bathing or in the morning. When to Use: You can use the face mask while bathing or before going to bed since glycerine moisturizes your skin well. How Often you Can Use: You can practice this procedure for 3 times in a week getting best results. How Often you Can Use: Make sure you repeat this procedure thrice in a week. When to Use: You can use this procedure anytime. When to Use: It’s good to use this procedure at night time. How Often you Can Use: No worries, you can apply this mixture on your face daily. 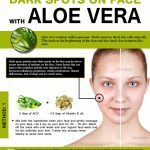 Aloe Vera is not only used to get beautiful skin. It also helps you to lose weight naturally and thus you can stay fit. It’s a natural component without any side effects and when mixed with other amino acids and enzymes it gives you miraculous results. Aloe Vera is also sometimes used as diet supplements consuming which you can easily discover a new look. Finally, you can manage a clear skin free from acne and blackheads ensuring that you lead a nice way of life at your ease.